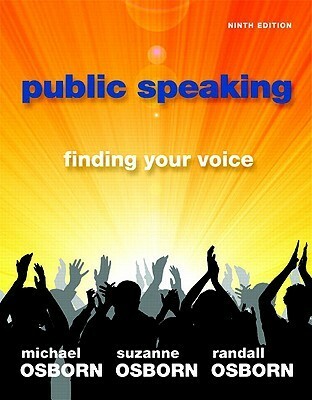 Updated in a 9th edition, this top-selling, comprehensive introductory public speaking highlights and develops the theme of Finding Your Voice as a speaker and as a person, supported by new pedagogy, numerous sample student speeches, and significantly streamlined, reorganized content throughout. Simply useless. A big part of the book are the captions and the stock images. The rest is some new age, spiritualist junk and not much about speaking. This was a textbook for my public speaking class. It's weird to read how to speak in public but it had some great speech examples.